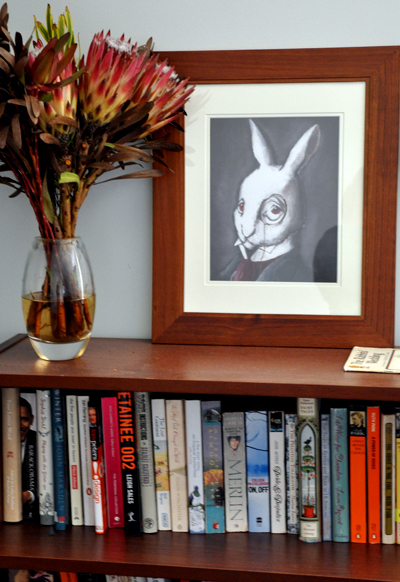 I got both these pictures for my birthday, one via Etsy (link to come for Monsieur Rabbit) and one is a poster that I found on my shopping expedition with my Mum and sister to to city. 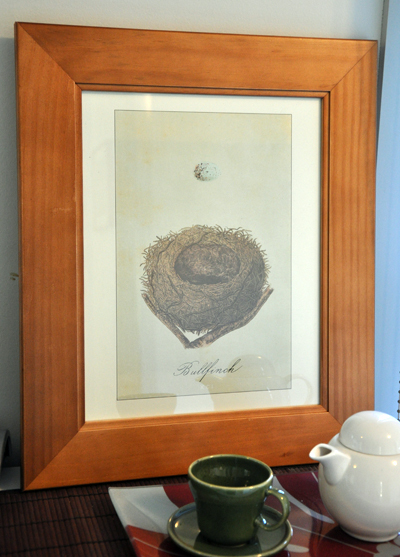 I have finally got both framed, although not sure if the lighter frame works so well with the nest -bought the frames at different times. I’m pretty much head over heels for the rabbit. (Sorry about the photos, late afternoon inside is not such great light and the colours aren’t quite accurate – and extra sorry for what looks like pee-water in the vase of natives, I should really do something about that).